Find out how to make a claim on your home insurance if your home has been damaged by extreme weather conditions. Can I claim on my home insurance? Before you submit a claim for storm damage on your home insurance, it’s best to check your policy to see what you’re covered for. All home insurance policies will differ, and some may exclude certain types of damage. If you have building insurance, your policy should cover any eligible damage to your home. If any of your possessions have been damaged in the storm, they will only be covered if you have contents insurance. If you don’t have contents cover you should carefully consider how much your possessions are worth and whether you can afford to replace them if they are affected by storm damage such as flooding. If you’re a tenant, damage to the building should be taken care of by your landlord’s insurance policy — if you have a contents policy you can claim for damage to your possessions separately. You should check your policy to see if things like fences, sheds, garden walls and gates are included. Garden furniture is not usually included unless it’s specifically stated in your policy, so it’s a good idea to store it away in winter months when the risk of storms is higher. Some policies also have optional garden cover that you can add on to ensure your sheds, garden furniture and other things like barbeques are covered. Insurers have the right to reject your claim if you do not meet their criteria, for example if you are claiming for storm damage but your home was in a poor state of repair before it was affected by the weather. If the insurer believes the damage could have been prevented by keeping your building better maintained, you may not be eligible to make a claim. As with most insurance claims, you will have to pay an excess — the amount will vary, but you will have agreed this with your insurer when you took out the policy. If you have built up a no claims bonus, you may lose some or all of it. If this happens you will notice your insurance cover will be more expensive at renewal time. If your home is affected by flooding and this has not happened before, your insurer is likely to amend your premium in light of the fact they now know your home is a flood risk. 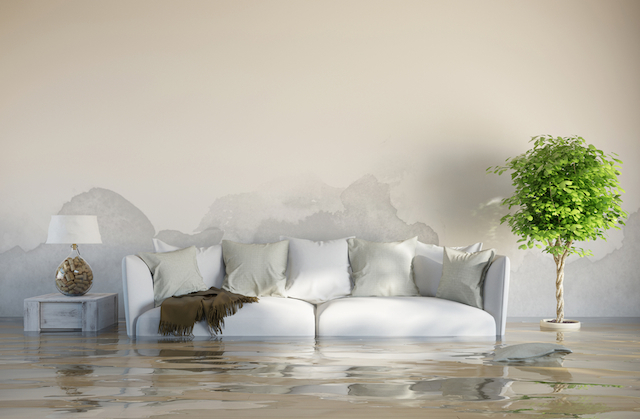 In the past some owners of flood-hit houses have reported difficulty in finding home insurance, but there are specialist providers out there that should be happy to cover you. Storm damage to your home can vary in severity - but perhaps the most serious risk is flooding. There are five million homes in the UK at risk of flooding, and the average claim after a major flood is £30,000. Storm damage also comes in the form of missing roof tiles, broken windows and damage to guttering - all of which should be covered under your building insurance as long as your insurer finds that all damage was caused by the storm rather than wear and tear. If your neighbour’s home has damaged yours (a tree on their property has fallen on your home, for example), you may be able to have the costs covered on your policy, but it may be quicker to go through your own insurance provider. Sometimes during extreme weather your property can damage someone else’s - it’s fairly common for roof tiles to come loose and hit parked cars, for example. Your building insurance may include liability cover for this purpose. The other party will usually claim on their own insurance policy and may recover their costs back from your insurer if your property was found to be liable for the damage. You should contact your insurer as soon as possible after you notice any storm damage to your home. Many insurers have 24-hour claim lines, and they will advise you on what to do next. You should take photos of the damage wherever possible, as this could help with your claim. If your property has been damaged by storm debris, get photographic evidence before removing the debris — and get professional help before moving large items like trees or large branches. If your home needs to be repaired urgently to prevent any more damage/minimise your losses (if the roof is letting in water, for example), you should arrange your own repairs as this will be quicker than waiting for your insurer to arrange it. You should make them aware that you’re doing this, and make sure you keep receipts so you can claim your costs back later. If the damage is very serious, your insurer should pay for you to seek alternative accommodation until repairs are carried out. They will advise you, but around 20% of the insured amount is usually available for accommodation costs. Remember that some storm damage, such as flooding, can take several months to fix, so if you have a choice of accommodation make sure it’s somewhere that will be convenient for your family to stay for a long period.